Here is the dog painting I worked on yesterday, kind of makes you sleepy to watch him too long, so look quickly! He is so cute! I swear he does make you sleepy! Great painting! Thanks Judy, Ill try a more perky painting next time, can't have all my readers yawning! 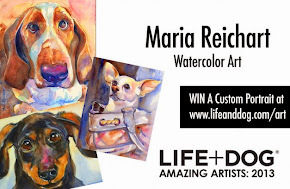 I love your way you use the watercolor to paint these animals - wonderful! Maria, you have captured the essence of basset-hound-hood! Oh, he's adorable! Thanks for sharing your work. Thanks for your kind comments, Atelier, Pat, Kathryn and Linda, he is such a sweet dog, you will see more paintings of him, his eyes tug on my heart strings. Aww, I love this dog! I also love the little pup in the post below! You do such a beautiful job with them! 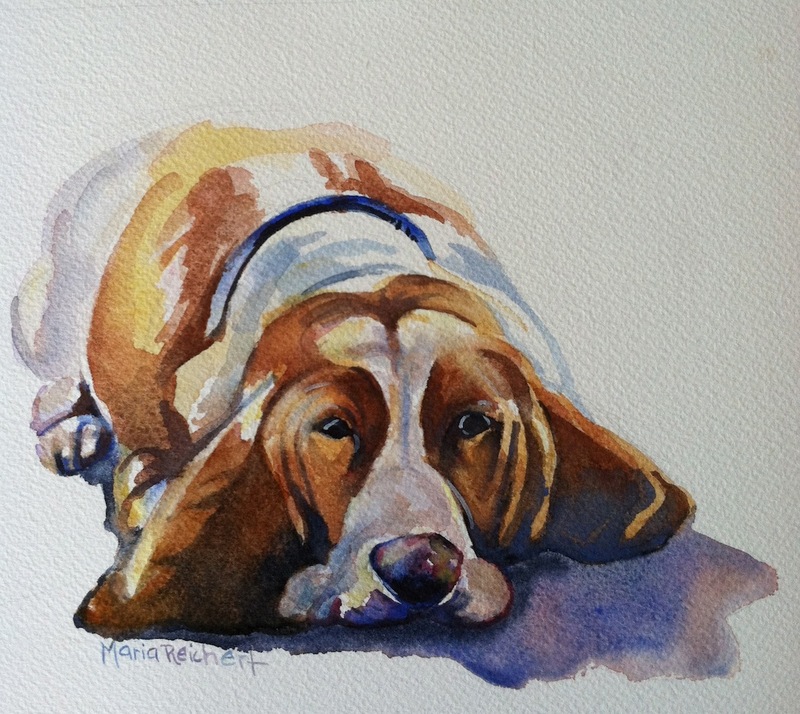 Your painting feels like a Basset Hound, in that you've captured the breed's spirit quite well. You did a great job capturing his sweet disposition! Love your paintings! Thank you Katherine, Lisa and Carol! I am enjoying painting the dogs this month. Love him!! Makes me want a Basset Hound! I love the looseness of your technique.